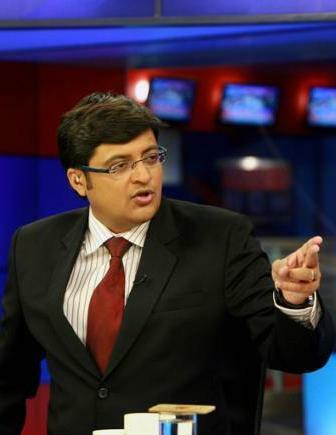 Ok, so now its hence Proved that you are "Arnab Goswami's" biggest Fan. . .
Well few opine .. he does it that way for TRPs as well.. Honestly speaking and just deviating a little bit from Arnab, I feel that politics and media nexus and now media's nexus with almost every money generating source and the way they highlight and sabotage news .. just to hype and then kill it for TRPs .. I doubt if these conversations which take place are also got up !! I have no hatred for him and no liking as well.. to be honest . I just hope He is as genuine as the channel portrays !! indeed !! they should be banned from being named as news channels !! awful they are !! Well, a journalist of his level ans caliber should not be getting flustered, that's right. Secondly, the way he forces his questions are OK to a point, but beyond that, they become extremely direct and get to the point of him being called opinionated. This should not happen. He has to learn to get an objective view for the sake of journalism. Arnab, though he may seem to be in complete control, sometimes loses himself and tries to get his way with everything, which is not in the best interest of the public watching his channel.